The value of the bond for the reconstruction of three and a half chimneys is only £11million. The value of the bond is based on an estimate supplied by Philip Gullet of the Battersea Power Station Development Company. This estimate has not been independently checked by cost consultants employed by Wandsworth Council or English Heritage. The contract sum for the demolition and rebuilding of the chimneys was redacted from the copy of the contract sent to Wandsworth. So it is not possible to compare demolition costs against rebuilding. The Council does not know if the bond is signed and in force, although the reconstruction contract starts next Monday. This is all the more alarming in light of what happened when John Broome, the first failed developer of the site, took down but never replaced the west wall and roof, as it remains to this day. The council’s own report in 1989 criticised the woeful lack of safeguards and- some would say- gullibility of the planning officers. According to Battersea Power Station Community Group the bond money should be held in a British bank if Wandsworth and English Heritage are to have any chance of getting at it in the event of a default. The total value of the bond also needs to be increased substantially if it is to be able to cover the reconstruction of three and a half chimneys, if a default occurs. With the chimneys reconstruction contract about to start, it is clear that Wandsworth Council and English Heritage are not protecting our cultural heritage -either in checking the proposed value of the bond or making sure the contract is signed and enforceable before the demolition and reconstruction project starts. With interest rates about to rise, the possibility of the project failing yet again is increasing by the day. If this happens when the chimneys are down, and it turns out the bond money isn’t there (as was the case in 1989 after Broome went bust) the chimneys will never be rebuilt. We need to rescue Battersea Power Station from these shameless, grey, dozing men who will sell our industrial heritage for peanuts and the enrichment of foreign “investors”. Keep an eye on the revolving door! Battersea Water Pumping Station is the oldest surviving water pumping station in London. It was built in 1840 for the Southwark Water Company and extended in 1856. It housed a series of Cornish engines used for pumping water from the Thames. At one time the pumping station housed the largest Cornish engine ever built, with a 112″ diameter cylinder. The building was listed Grade II in 1994. The pumping station commemorates the rich industrial heritage of the Nine Elms and North Battersea. It has great potential to encouraging young people to think of science, technology and engineering as important skills worth acquiring. Retaining and preserving the pumping station would attract visitors to the site and therefore increase footfall for the new facilities that will be open to the public. It is in everybody’s interest that it is preserved. We further ask Wandsworth Council to convene negotiations between the owner/developer and the Battersea Power Station Company Ltd (a local registered charity) to allow the pumping station to be passed into the latter’s ownership for £1, to allow them to renovate the pumping station with Lottery funding. Stop this cultural vandalism for profit. 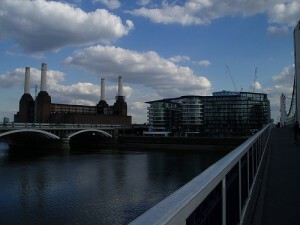 Battersea Power Station- a tragi-comedy of errors. Last night’s Wandsworth Borough Council Planning Committee meeting to approve the demolition of the Victorian Battersea Pumping Station and the demolition (and supposed replacement) of the iconic power station chimneys was the best show in town- Dickens in modern dress that occasionally lapsed into panto. The farce played to a packed house – with the corridors full of (vested?) interested parties straining to hear the proceedings over the PA. The rather predictable plot- a variation on the turkeys voting for Christmas story -had a committee clearly determined to vote in favour spending three hours going through the massive planning application with just one dissenting voice of reason, played by a rather hammy councillor Tony Belton, pointing out the blindingly obvious flaws and unfeasibility of the scheme. The real drama and humour lay in the fact that the committee seemed oblivious to the subplot- that the developers, REO (Treasury Holdings UK), are massively in “toxic” debt and in effect owned by the Irish tax payers via NAMA and will do nothing but continue to demolish what little is left on the site and then “flip it”- selling it on as an empty brown field site for river front luxury development. REO were unlucky that when the music of the property boom stopped they were left without a chair, but lucky enough to have their biggest non-Irish asset located in Wandsworth, infamous for having allowed the power station to fall into its current state of near dilapidation and for waving through truly hideous and desolate riverside developments. There was something distasteful in the pathos of the affable officer’s naive presentation of the nonsensical scheme as from the public gallery hard nosed and cash hungry developers salivated at the easy meal they were shortly to enjoy. There were comic moments as the “power dressed” committee members seemed to be made up of people who were in thrall to the promised dream of capitalism but had no clue about business. They dismissed the very real credibility gaps in the developers “vision”, enthusiastically hanging the whole wobbly edifice on the “promise” that these mega debtors (or at least Irish toxic debt vehicle NAMA) would stump up over 200 million pounds for the Northern Line Extension, or as it is known locally the “Ghost train to nowhere”. Even if this phantom train ride were real it would not happen for years even if it all went to plan… it was an evening of “even ifs”. One comedic highlight was the officer’s report on the stringent “conditions” the council had negotiated with the Developers. REO could take down the chimneys but must replace within 7 years. REO could remove the embarrassing sight of the wharf cranes they are letting rot and could “restore” them inside the hulk of the rotting power station. REO could first develop a slither of land on the north west river front. Happily the piece of land with most instant resale value, being the furthest from the smelly and polluting waste transfer facility on the north east water edge of the site and the cluster of huge gas holders on the south west edge, deemed by the HSE to be enough of a potential danger to society they recommended the scheme was rejected. This danger of an inferno seemed not to trouble the committee who dismissed the HSE’s concerns. One councillor mocked it as health and safety gone mad as residents of the later phases of the development nearer the potential blast would have chosen to buy their luxury flats aware of the risk. They also swallowed, uncritically, the completely spurious argument for knocking down the grade II listed Victorian pumping station on the grounds it was a “community benefit” in order to “save” the power station apparently achieved by destroying its architectural value by knocking windows all along its sides and turning it into a shopping mall with luxury flats. All of the responsibilities and commitments of REO were locked into phases of the development projected way into the future. As REO have no real intention, or means, to “deliver” these planning pipe dreams they were in effect getting off Scot free. The only thing the planning committee’s decisions would guarantee were the demolitions. The press has been full of the glossy artists impressions of this bright new future but actually it is a dark day for most Battersea residents as this scheme will deliver nothing but another decade of planning blight. A bleak future without two of the regions most precious and best loved buildings. The optimists had to accept that even if the Power Station were to survive this scheme it could not actually be seen from anywhere in the borough once surrounded by the 15+ storey buildings REO planned. Given the power station is Wandsworth Borough council’s logo it was indeed a turkey landslide vote for every day being christmas. 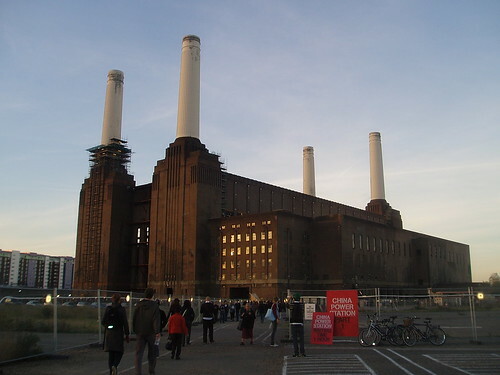 Tonight, with only one vote against, the London Borough of Wandsworth’s Planning Committee gave the green light for the demolition by stealth of Battersea Power Station by approving the chimneys are removed and (maybe?) replaced and the total destruction of the Victorian Pumping Station as predicted. Condemning north Battersea to another 15 years of urban blight. But take heart there are still many rivers to cross (for the developers) and many opportunities along the way for us to propose more imaginative uses and to prove that urban planning by speculation is not viable or in the public interest. Go to Details and reports for more info and to download the reports online the application number 1 is 2009/3575, No 4, 2009/3676 demolition of chimneys etc, no 3, 2009/3577, no 4, 2009/3578 Demolition of Water Pumping station. I am writing concerning your application submitted last year for listed building consent (ref 2009/3578) to demolish Battersea Water Pumping Station. Members of Battersea Power Station Community Group set up this company in 2002 as a not for profit organisation to carry out useful work in the Queenstown ward, one of the most socially disadvantaged areas of the London Borough of Wandsworth. The company has broad objectives, including: “The preservation of buildings or sites of historic, architectural or industrial importance, in particular Battersea Power Station and Battersea Water Pumping Station”. In pursuit of this objective, we wrote to Wandsworth Council in January to object to your application. (Our letter of 19th January.) We have also written to English Heritage. We don’t know the outcome of Wandsworth and English Heritage’s deliberations at this stage. In considering this application however, both organisations will have to take account of government guidance on demolition containing in the new Planning Policy Statement 5. As you know PPS 5 includes guidance for situations where the loss of a “heritage asset” is proposed. This is contained in paragraphs HE9.1 to HE 9.5, requiring alternative uses to be considered, and for charitable or public ownership to be considered as well. Paragraph HE 9.3 specifically says “… local planning authorities should require the applicant to provide evidence that other potential users have been sought through appropriate marketing and that reasonable endeavours have been made to seek grant funding for the heritage asset’s conservation and to find charitable or public authorities willing to take on the heritage asset.”. To assist you in this process therefore, we confirm that we do wish to acquire Battersea Water Pumping Station from you. We are willing to raise funds to repair the building, using the Architectural Heritage Fund, the Heritage Lottery Fund and other local sources. Indeed on 10th May, BPSCG members attended a seminar at the HLF about funding for Industrial, Maritime and Transport Heritage projects in London. We saw in our recent visit to the Pumping Station on 11th March (which you kindly arranged for us) that the brick structure of the building is fundamentally sound. The building is eminently reusable in any number of socially productive ways, that would far outweigh the nominal benefits of building another hotel, office building, or shopping mall on this area of the site. Clearly there have been years of neglect. The guidance note accompanying PPS 5 (paragraph 96) is clear that the purchase price should be reduced to take account of a backlog of any repairs. We are therefore wiling to take the building from you for a sum of £1. We would also ask for a small donation from you to assist with emergency repairs, and to serve as matched funding in any approach to funding bodies. We also consider that the narrow strip of land extending from the pumping station to the river should stay with the pumping station to facilitate river related use such as a boat house. The building was separately owned by the water board until the 1980’s on a plot of land with a river frontage. We feel that building and its site should be preserved intact. This strip is at the north east corner of your site and we don’t see that its forfeiture would in be to the detriment of your wider plans. Indeed, it could serve as a useful buffer between your site and the refuse transfer station. Aside for the inherent industrial and historic importance of the building, that overwhelmingly justifies its retention, there are many social benefits to our company taking over this building. For instance in enabling people from the estates on the south side of Battersea Park Road to take part in river related activity of all kinds. Clearly bringing this building back into use on the short to medium term will also give positive signals about the viability of the site as a whole to potential investors. They will see that things are actually happening, rather than the procrastination and delay which has become the norm. This can only be in your interest as well. Battersea Power Station Planning Applications Overloaded with Information. On the 22nd October 2009, the planning applications for Battersea Power Station were submitted and made available to the public. The public then had until the 1st February 2010 to submit their objections and comments. 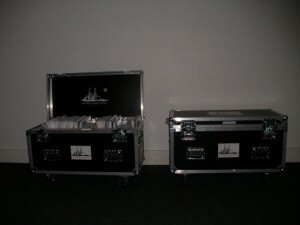 The plans with reference numbers; 2009/3575, 2009/3576, 2009/3577, 2009/3578. Application 2009/3575 contained four application documents, which were made available to the public on the 22nd October last year. The application also contained approximately 20 reports many in several parts (up to eleven) and many with numerous appendices. Over three hundred drawings of the proposed plans were also included; these were only made available to the public in December 2009. The sheer volume of materials provided about the plans and the limited time available to respond, made it very difficult to firstly access all the information and to make a fully informed opinion on the plans. The Victorian Society’s Objection Letter to the Battersea Power Station Planning Application. 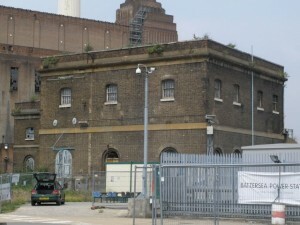 The Victorian Society is one of many to write an objection letter in relation to the recent plans to demolish the former water pumping station at the Battersea Power Station. The letter outlined the reasons behind the ‘strong objection’ of the Society towards the plan. The Victorian Society’s Objection Letter is just one example of many objection to the plans to demolish the water pumping station. To read the full Objection Letter, click here and use the reference 2010/01/012. Read other planning applications by clicking here and using application numbers; 2009/3575, 2009/2576, 2009/3577. Below is Battersea Power Station Community Group’s objection to the planning applications. You might find this useful reference when making your objections. The deadline for objections is 31 January. Please try and register your objection. 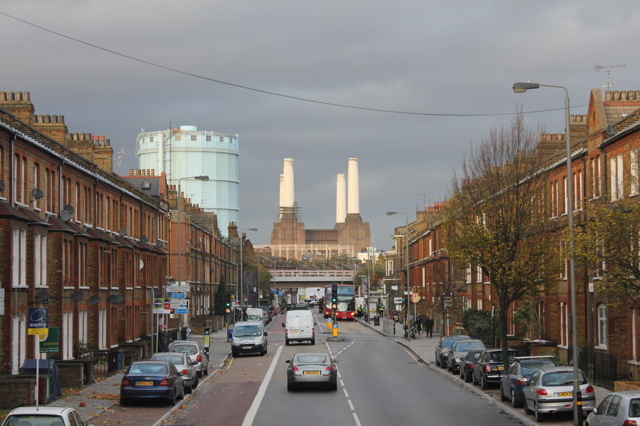 I am writing to add comments to my original objection about Battersea Power Station and Battersea Water Pumping Station and the surrounding land. Development of the surrounding land will be far too dense and completely obscure Battersea Power Station from views from the south of the building, especially by the application for all of the residential blocks around the Power Station being planned for up to 56 metres in height. The buildings have the real effect of crowding the Power Station and not allowing the listed building the dignity of protected views. Battersea park road / Nine Elms Lane and Queenstown Road will be blocked off by the high buildings. None of these buildings should be higher than the parapet of the Switch Houses of Turbine Halls A & B. Views from the railway into Victoria Station will be obscured. There is no indication about the percentage of homes that will be “affordable” We propose that this figure should be 50%. The proposal for a roof top swimming pool was only ever to divert criticism from the plan to build the original, monstrous, Vinoly tower. For this to be given credibility will show the whole scheme to be discredited. All water features are on the land are irrelevant. The Thames flows past and Battersea Park has extensive lakes. The water just serves to make the land unusable by people who might want a place to walk and sit and the water further restricts movement around the site because most of the gardens will be denied to the public as they will be private gardens for the residents. There should be public open space/park equivalent to the open space/park on the Riverside on the south side of the power station. The Battersea Water Pumping Station should not be demolished. It is Grade II listed, older than the power station 1860 and a unique example of the London Water supply with the Largest Cornish engine ever built (no longer existing) The Pumping Station is a compliment to the Power Station. Nearby are the railway arches used by A.V. Roe to build the Bulldog plane, the first plane to fly, and the gasworks where balloon flight became the prelude to powered flight. It is a shame that this industrial heritage is not protected because there is the same relevance as the Iron Bridge museum right here in Battersea. The Water Pumping Station should have the protection of a condition that it can only be demolished when the detailed plans for new buildings are approved and there is a contract in place to build the new building on the site of the Pumping Station. The riverside walk should be built as soon as it is possible to do so. The report by Stuart Tappin and George Ballard shows that the chimneys can be repaired and that the proposal to demolish is not proved. Don Bianco of English Heritage agrees that the chimneys should not be demolished. Mr Bianco is the EH inspector who regularly checked the building every six months and abseiled from the top outside and inside the chimneys. The previous owners claimed to have entered into an irrevocable letter of credit that guaranteed the funds to rebuild the chimneys in the event that they were unable to do the rebuilding. Parkview promptly left and there was no evidence that such a document existed.. Without this guarantee of sufficient funds from the current owners we believe that once the chimneys are demolished they will never be rebuilt leading to the eventual demolition of all of the building to be replaced by luxury flats. Internally the proposal to remove to the switch gear in Annex B to a new location is opposed and should be kept in the original location with Control Rooms A & B open free to the public. It appears that the listed status of Grade II* is being ignored by the proposal to create windows in the walls. It is a characteristic of the listing that the large areas of brick are integral to the building and by making more windows the whole effect will be changed to the detriment of the Power Station. The plans for the tube extension from Kennington are at best confused and at worst “Humbug” as described by the Minister for Transport, Sediq Kahn. There seems to be 4 different routes proposed but there is no intersection at Vauxhall tube. Whereas the Waterloo and City Line taken towards Clapham Junction would allow a direct connection between the City and The Junction and reduce the load on Waterloo Station with many passengers seeking to travel in the direction of the Junction. The Waterloo and City Line could easily reach Vauxhall helping to relieve some crowding on the Victoria Line. It would also relieve crowding on the Main Line and the City branch of the Northern Line, from Waterloo to Clapham Junction and Elephant and Castle to Stockwell. Through Camberwell, Denmark hill and Dulwich to Streatham and Croydon. The Victoria Line is built to the Crystal Palace alignment and its proposed extension to Herne Hill is along it. The Bakerloo Line was originally built to an alignment towards Bricklayer’s Arms. The Northern Line’s Charing Cross branch naturally faces the Camberwell route. There are 3 lines and 3 routes for extensions to traverse. Sendeng the Northern Line to Battersea would remove the future possibility of some part or all of at least one of the above routes through the South East being served. If the buildings were in a development trust they would be eligible for grants from the Sport and Heritage Lottery Funds. English Heritage have given their blessing for the Victorian Battersea Water Pumping House, on the site of Battersea Power Station and which once housed a 112 inch Cornish engine, one of the largest steam engines ever built, to be demolished. The current planning application submitted by Real Estate Opportunities ( Opportunities for them no doubt) includes plans to delist and demolish Battersea Water Pumping House. In fact in all their models and plans the building has been swept away- pre-empting the permission. It is outrageous that English Heritage have swallowed, hook line and sinker, REO’s argument that one listed building ( The Pump House) needs to be demolished in order to save another ( The Power Station). English Heritage know nothing of business and should be a little bit savvy about the tricks of property developers who nearly always want to rid themselves of any listed buildings that interfere with maximising profits. Listed building consent for the demolition of the building was previously given in 1997 and renewed in 2002. Battersea Power Station Community Group made objections on both occasions and also 1n 2002 opposed the demolition (on spurious “health & safety” grounds) of the boiler house of the pumping station. Since 2002, Parkview’s scheme has collapsed and there is a different developer, with a new scheme. The justifications given in 1997 and 2002 that the loss of the pumping station as a necessary sacrifice in order to achieve the greater good of saving Battersea Power Station has therefore been proved to be false. The pumping station is of great interest, in particular in terms of its industrial archaeology. It is quite clear therefore that the pumping station should be incorporated within the current masterplan for the site. The Historic Building Record prepared by CgMs consulting on behalf of Parkview, the then developers of the whole Battersea Power Station site (Document JL/3184) show there is a “void” beneath the Pump station up to 20 feet deep. CgMs suggested that this need not be be further investigated and it was back filled, however research by members of the Battersea Power Station Community Group of drawings held at the London Metropolitan Archives suggest the giant 112 inch Cornish engine (or remnants of the smaller engines) may still be in this void. If REO/Treasury no longer requires the building, then it should be transferred to a trust. PPG 15 requires trust ownership be considered before an application for listed building consent to demolish can be given. The Battersea Power Station Community Group will be very happy to take on ownership of the building if REO/Treasury no longer requires it. We would be able to raise funds to repair the building, using the Heritage Lottery Fund and other sources. There are any number of socially useful purposes to which the building could be put, such as a boating club or an annex for the Kew Bridge Steam Museum? If you would like to object to the Battersea Power Station plans you have until January 31st 2010 click here for more details.